Everything around us in designed and the word ‘design’ has become part of our everyday experience. But how much do we know about it? Heralding the start of a unique partnership between Conran Octopus and the Design Museum, this is an exciting new series of books published by Conran Octopus in partnership with the Design Museum. Each book lists the top 50 products that have made a substantial impact in the world of British design today, offering a short appraisal of each that explores what has made their iconic status and the designers that give them a special place in design history. 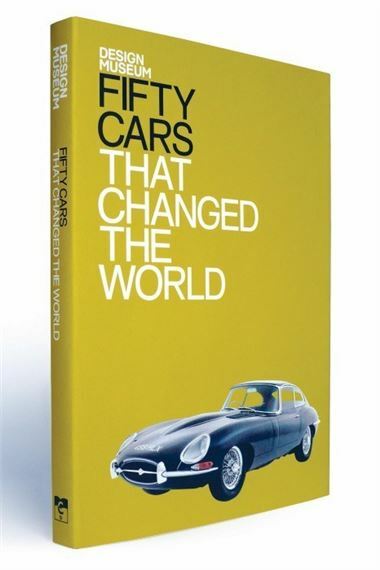 Fifty Cars That Changed The World is the ultimate book for car, design and popular culture enthusiasts and includes all the classic models from the 1908 Ford Model T to the 1998 Smart Car. For a century, the car has been a remarkably powerful catalyst for change, whose influence can be compared easily with that of the aeroplane or microchip. From its earliest incarnations, the car has demanded consideration and attracted veneration on multiple levels: as sculptural object, as the product of avant-garde industrialism, and as a remarkable piece of engineering. Other books in the new series publishing October 2009 include Fifty Chairs That Changed The World, Fifty Dresses That Changed The World and Fifty Shoes That Changed The World. The Design Museum’s mission is to celebrate, entertain, and inform. It is one of the world’s leading museums devoted to contemporary design in every form from furniture to graphics, and architecture to industrial design and is working to place design at the centre of contemporary culture.